Self-driving cars may not hit the road in earnest for many years. But self-driving boats could be just around the pier. Marine innovators are spurred in part by the car industry's race to build driverless vehicles. They are building automated ferry boats for Amsterdam canals. These are cargo ships that can steer themselves through Norwegian fjords. Also possible are remote-controlled ships. They would carry containers across the Atlantic and Pacific. The first such self-driving ships could be in operation within three years. One experimental workboat spent this summer in Boston Harbor. It was outfitted with sensors. It also had self-navigating software. It was emblazoned with the words "UNMANNED VESSEL." "We're in full autonomy now," said Jeff Gawrys. He is a marine technician. He works for Sea Machines Robotics. It is a Boston startup. The boat still needs human oversight. But some of the world's biggest maritime firms have committed to designing ships that won't need any captains or crews. Sea Machines is based out of an East Boston shipyard. It was once used to build powerful wooden clippers. Those were the cutting-edge sailing vessels of the 19th century. Johnson's company is hoping to spark a new era of commercial marine innovation. It could surpass the development of self-driving cars and trucks. The startup has signed a deal. It is with an undisclosed company. The plan is to install the "world's first autonomy system on a commercial containership," Johnson said. It will be remotely-controlled from land. It will travel the North Atlantic. He also plans to sell the technology to companies doing oil spill cleanups. He plans other difficult work on the water. This work includes assisting maritime crews. But not replacing them. Johnson is a marine engineer. His previous job took him to the Italian coast. He helped salvage the sunken cruise ship Costa Concordia. He said that deadly 2012 capsizing has convinced him that "we're relying too much on old-world technology." "Humans get distracted. Humans get tired," he said. Militaries have been working on unmanned vessels for decades. But a lot of commercial experimentation is happening in the centuries-old seaports of Scandinavia. This is where Rolls-Royce demonstrated a remote-controlled tugboat in Copenhagen this year. Government-sanctioned testing areas have been established in Norway's Trondheim Fjord. They have also been established along Finland's western coast. In Norway, fertilizer company Yara International is working with engineering firm Kongsberg Maritime. They plan to replace big-rig trucks with an electric-powered ships. It will connect three nearby ports. The pilot ship is scheduled to launch next year. Then it will shift to remote control in 2019. And by 2020 it will go fully autonomous. Japanese shipping firm Nippon Yusen K.K. plans to test its first remote-controlled vessel in 2019. It is part of a wider Japanese effort to deploy hundreds of autonomous container ships by 2025. A Chinese alliance has set a goal of launching its first self-navigating cargo ship in 2021. The key principles of self-driving cars and boats are similar. Both scan their surroundings. They do so by using a variety of sensors. They feed the information into an artificial intelligence system. It outputs driving instructions to the vehicle. But boat navigation could be much easier than car navigation, said Carlo Ratti. He is an MIT professor. He is working with Dutch universities to launch self-navigating vessels in Amsterdam next year. The city's canals, for instance, have no pedestrians or bikers cluttering the way. They are subject to strict speed limits. Ratti's project is also looking at ways small vessels could coordinate with each other in "swarms." They could start as a fleet of passenger or delivery boats. Then they could transform into an on-demand floating bridge. This could accommodate a surge of pedestrians. 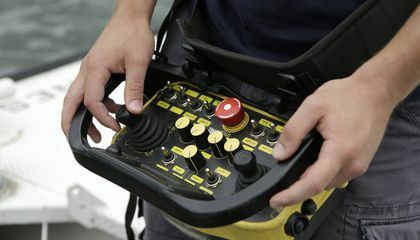 Many boats already have electronic controls. "It would be easy to make them self-navigating by simply adding a small suite of sensors and AI," Ratti said. Researchers have already begun to design merchant ships. They will be made more efficient because they don't need room for seamen to sleep and eat. But in the near future, most of these ships will be only partly autonomous. Armchair captains in a remote operation center could be monitoring several ships at a time. They could be sitting in a room with 360-degree virtual reality views. When the vessels are on the open seas, they might not need humans to make decisions. It's just the latest step in what has been a gradual automation of maritime tasks. "If you go back 150 years, you had more than 200 people on a cargo vessel. Now you have between 10 and 20," said Oskar Levander. He is vice president of innovation for Rolls-Royce's marine business. CHANGING RULES OF THE SEA. There are still some major challenges ahead. Uncrewed vessels might be more vulnerable to piracy. They might even be stolen via remote hacking of a ship's control systems. Some autonomous vessels might win public trust faster than others. Unmanned container ships filled with bananas might not raise the same concerns as oil tankers plying the waters near big cities or protected wilderness. A decades-old international maritime safety treaty also requires that "all ships shall be sufficiently and efficiently manned." The International Maritime Organization regulates shipping. It has begun a 2-year review of the safety, security and environmental implications of autonomous ships. The US West had a snowy winter, so why the fiery summer? 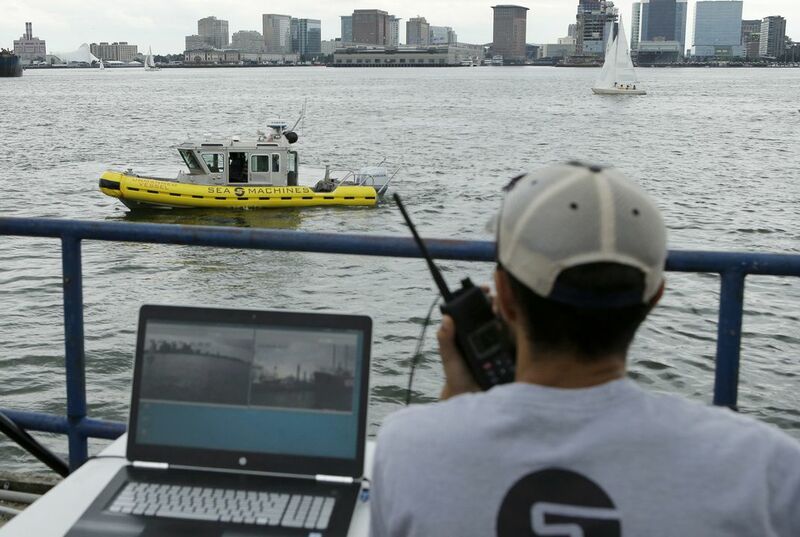 How could self-driving boats enhance safety? Self-driving boats could enhance safety because they won't have to worry about the boat crashing because no one is driving it.